Computers, monitors, vacuum cleaners and other electronics have been donated by employees at NASA’s Kennedy Space Center in Florida in conjunction with America Recycles Day. 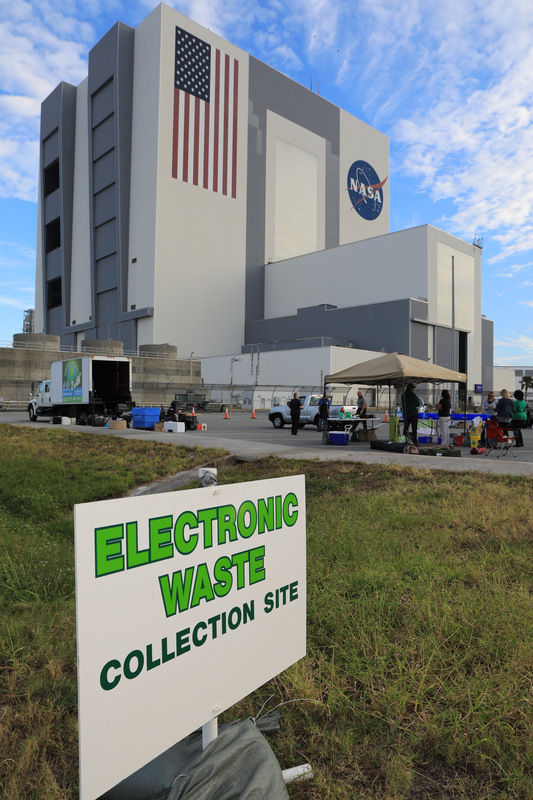 Employees at NASA’s Kennedy Space Center in Florida brought a wide variety of household items to work Tuesday, Nov. 15, and Wednesday, Nov. 16, in conjunction with America Recycles Day. America Recycles Day is a nationally recognized initiative dedicated to promoting recycling in the United States. Kennedy partnered with several organizations in order to donate as many of the items as possible to those who could use them the most in the Space Coast community. These included Goodwill Industries, Bridges BTC Inc., Cellphones for Soldiers, the Lions Club, and the Ronald McDonald House. 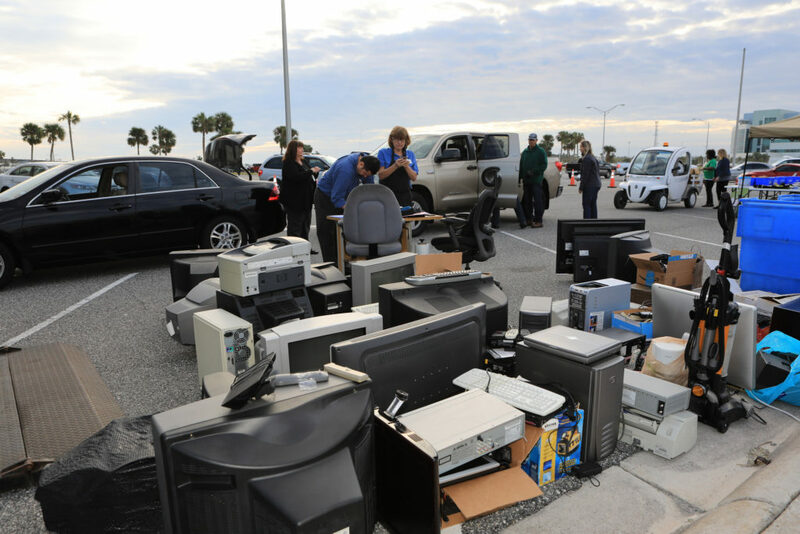 Space center personnel were invited to bring electronic waste, from cell phones to computers; new or gently used household items such as sporting goods, home decor and kitchen items; shoes, clothing and eyeglasses; and many more. Kennedy’s Sustainability team sponsored the event. In total, spaceport employees made approximately 345 drop-offs. Televisions and cell phones were especially common.